I got my gratified smile Sunday evening. Mrs. Sperling didn’t say whether or not my information meant anything. I got the feeling it fit in with some hypothesis she had, and she was holding her cards close to her chest, so to speak. The next morning, I got back from dance class and cleaned up just barely in time to drive Mrs. Sperling to the Braille Institute, on Vermont. I thumbed through my Backstage West while she tutored Delsie Simmons, a young black girl recently blinded in a gang altercation. One of the aides told me that Mrs. Sperling always got the tough ones because she was the only one who could handle them. Delsie was not only prone to skipping her homework, she was also very belligerent, and had yet to accept her handicap. I got a little nervous when I heard yelling coming from the room. It soon stopped and eventually, Mrs. Sperling came out unscathed and unruffled. She waited until Delsie had left the building before giving me our next destination. It was a luxury condo nestled in one of those high rises along Wilshire, just past the crossing with Santa Monica Boulevard. I don’t know if that’s Beverly Hills proper, or West Los Angeles, but it’s still rich kid country, and not far from U.C.L.A. Being help, I got to park the car myself after Mrs. Sperling had been helped out of the car by the building’s doorman. She was waiting in the lobby for me when I got back. I looked around, searching for the conveyance, then took off at a brisk pace. Mrs. Sperling matched it, with Eleanor matching us both. “He said it was three doors down to the right,” Mrs. Sperling said as we got off on the twelfth floor. She and Eleanor took the lead from there. The door opened seconds after Mrs. Sperling rang and he ushered us in. I saw the condo first. It was mostly a huge living room furnished in black, white and royal blue minimalist with a long window taking up most of one wall and which overlooked Wilshire Boulevard and the condominiums across the street. The view made me woozy. I looked away. In the center of the room, a spiral staircase led to a loft. Under the loft was a tiny kitchen which matched the living room, and a black and glass dining room. Then I saw Him. Tall and slender, with a chest that was just broad enough, lightly tanned skin, a fabulous face and beautiful, laughing green eyes. His sunbleached hair was dark rooted and clipped and arranged with stylish abandon. I’d seen His dark bomber jacket, yellow print shirt and baggy pants on mannequins on Rodeo Drive. Not that exact ensemble, but things like it. It was Phillip DuPre, live and incredibly handsome, right in front of me. I was in shock. I mean, I figured Mrs. Sperling might have a few industry contacts, having been married to a cinematographer and all. But Hollywood’s latest golden boy director? A guy who had directed two mega-hit feature films, among other things, and now had every big name in music screaming at Him to do their videos? This was the son of some old family friends? I had first seen Him at a cattle call for His second rock video. The first was from His movie “Five Alarm”, and that was the one that got the music industry so excited. He was behind the table with the casting director and producer, although He was obviously in charge. I remember joking with Tina that I would have loved a chance to fall in love with Him. At the time, of course, it was ridiculous. I was just one of a thousand dancers who were auditioning for a role. He’d smiled at me. He’d smiled at all of us. I got called back, and He smiled at me again. I didn’t get the role. I don’t know if it was intense jealousy that she was working with that gorgeous man and I wasn’t, but I did not like the girl they chose. “Phillip, I’d like you to meet my new chauffeur, Donna Brechter,” Mrs. Sperling was saying. It dawned on me I’d been so busy ogling I hadn’t heard or seen any of the traditional greetings. “Hi,” He said, pleasantly. He held out His hand. Really winning dialogue, I know, but my heart was pounding so hard I couldn’t think straight. The man was just that gorgeous. I remembered to shake His hand, only He’d already started withdrawing it. I grabbed, He fumbled. It went back and forth for an hour, it seemed like. Mrs. Sperling says I didn’t, but I turned three shades of purple. He laughed, quiet and really cute, then looked at me again. “You’ve auditioned for me, haven’t you?” He asked. “You remember?” I was in seventh heaven. “Phillip, I believe you have some sculpture to show me?” broke in Mrs. Sperling. He took her elbow and guided her around the room, letting her place the furniture, warning her about a wobbly stand here, or a sharp corner there. His Niedemans hung all over, the only other colors in the room besides the main decor. They were all in thick black lacquered frames. He had several bronze sculptures and some clay ones, and one beautiful white porcelain figure of a woman. It was to these pieces that He drew Mrs. Sperling’s attention. “A Remington?” Mrs. Sperling chuckled, going over a bronze of a cowboy on a bronc. “I heard you were back east last week. “I wouldn’t dream of missing it.” Mrs. Sperling cleared her throat. I remembered my job. I wandered over to the HN6 where it hung by the window, out of which I refused to look. Reminding myself that I was twelve stories above solid ground was not going to do my nerves any good. “My brother just got one of these,” I said. “One of what?” Mrs. Sperling walked over to me. “I see.” She didn’t believe Him for some reason. Mrs. Sperling didn’t press the issue. He insisted on driving us in His BMW. Mrs. Sperling insisted on sitting in the back with Eleanor, which meant I had to sit up front. I was heartbroken. 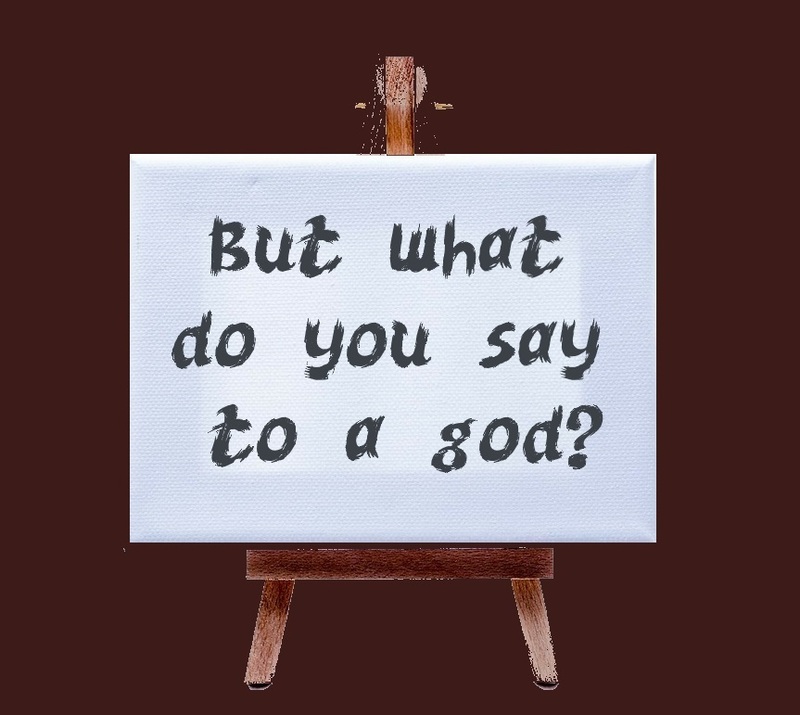 I tried to make some intelligent small talk, but what do you say to a god? Mrs. Sperling kept the conversational ball rolling and even set up a few opportunities for my brilliant wit and dazzling charm to shine out. I managed not to get tongue-tied and sounded like I had a reasonable command of the language. Other than that, I was pretty quiet. He was kind of quiet, too, which surprised me a little. At the audition, He’d seemed really outgoing, the kind of person who knows He’s in charge but doesn’t have to ram it down everyone’s throat. He answered Mrs. Sperling’s questions about His family and other little things. He smiled at me. I smiled back, trying not to melt. We ended up at this little eatery in Santa Monica where several more distinguished members of the Industry were dining. After having been dazzled by Phillip DuPre, and I confess, still under His spell, these other big shots had no impact on me whatsoever. I was so cool, it was disgusting. It was very satisfying, too, when our waitress just happened to be this little witch I knew from my dance class who was a horrible name dropper and treated me like I was the biggest no-talent in Southern California. She recognized Phillip DuPre immediately. And there I was, having lunch with Him, and on a first name basis. It was certainly one of my better days. Mrs. Sperling waited until we were eating dessert before bringing up the murder. After lunch, we went back and got the De Ville. We paid a call on Sergeant Michaelson, who growled that there were no new developments. We tried to pay a call on Ramona Bistler, but she was gone. In desperation, Mrs. Sperling directed me to Dolores Carmine’s. She was in, but not much help. “You have no idea where Fred Gonzagos might be?” Mrs. Sperling pressed. “If I had I would’ve told you,” replied Dolores. We went back to Beverly Hills to find out what company was the private security patrol around Mr. Stein’s gallery. We did get that name. We drove out to their offices only to find that the guard who had been patrolling the night of the murder was sick, and, no, the receptionist could not give out his address or phone number. Before giving up, Mrs. Sperling had me take her to the Beverly Hills P.D. again. There, she tried to get the girl in the records department to see if Fred Gonzagos had a file in the national crime computer. The girl said she couldn’t. Mrs. Sperling had her call the chief. The chief had already gone home for the day. In the car, I tried to cheer her up. Dinner was ready when we got back to the house. I called Tina and Mickey right away, then sat down to eat. Earl was working that night, so Tina was looking for an excuse to get out. Mickey just wanted to go, and a bar suited him fine. I didn’t tell them I was packing a heater, as they say. I knew how to shoot it, too. Mrs. Sperling made sure of that and promised I’d get some time on a shooting range in the near future. Hennessey’s was a pretty basic place. A nice restaurant lurked beyond the bar, which was dark and decorated in a pseudo-Victorian style. In one corner a huge projection T.V. displayed a football game. A crowd had gathered around it and cheered on one of the teams. I think it was the Rams, Forty-niners game, but that might have been the following week. I don’t remember, which is odd because I’m an ardent Rams fan. Mickey and Tina groaned when they saw me heading for the television. Mickey all but picked me up and sat me down at the bar. “You’ve got other things to do,” he told me. Tina and I ordered white wine and Mickey got a gin and tonic. The bartender returned with the drinks grumbling about the game. He was bent over and balding and looked as though he’d been mixing drinks since before he was legal. “You here a lot?” I asked. We only stayed long enough to finish our drinks. I wanted to watch the rest of the football game, but Tina insisted we go someplace either a little quieter or with dancing. We got stuck with the quieter. Most places don’t have dancing on Monday nights. Mickey was disappointed that things had gone so smoothly. The next morning, I visited the police station briefly after class. When I got home I was surprised to see the kitchen empty. Voices floated in from the dining room. “Has she considered a breast augmentation?” asked one, a male voice. My heart stopped. It was His. “It’s a professional issue,” He protested. They were having brunch, spinach souffle, and baked applesauce. Mrs. Sperling invited me to join them. “Won’t bother me any,” He said, staring at His plate for some reason. “Well, uh, thanks.” I sat down nervously and helped myself. “Donna, what was your agent’s name?” asked Mrs. Sperling. “You are?” He finally looked at me. “Is your friend, Tina, a dancer?” He asked. “We want to know your agent’s name, dear,” pressed Mrs. Sperling. “Jerry Lawton, over at Lawton, Wheaton, and Weiss,” I said. “You seem to know him,” said Mrs. Sperling. “He’s never made a pass at me,” I said, indignantly. “Well, there’s got to be at least one honest agent out there,” I grumbled. “Well, why don’t you recommend one, Phillip,” said Mrs. Sperling with a sly grin. “I thought you didn’t like her,” said Mrs. Sperling. “Off to cast your new film?” She smiled as He kissed her cheek. During that time my heart took a diving leap to my feet. If He was casting a video, there were good odds He needed dancers. And there I was, selling Him on my friend instead of me. Not that I begrudged Tina the sell. I just could have spent some time on me, too. He turned that wonderful smile on me then fled. I melted and forgave Him for every time He wouldn’t cast me. Mrs. Sperling only waited long enough for the door to shut.